Is Long Form Content Worth The Investment? While long form content is part of every marketer’s content marketing strategy and offering mix, the question is: Does it deliver value for the amount of resources and budget required to create it? 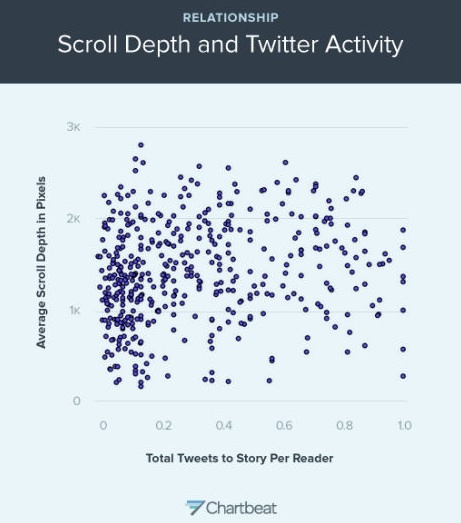 Charts complied by Josh Schwartz, Chartbeat‘s data scientist offer useful insights content creators must consider. We examine the implications and offer five actionable content marketing tactics to help you meet your audience’s content needs. 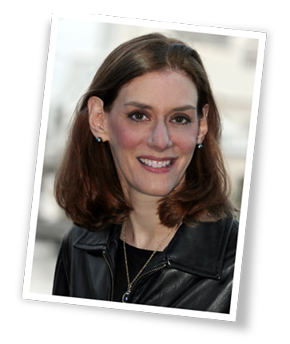 Schwartz compared data for Slate.com against a mix of 1 million visitors on 10 top publishers. The average web article is about 2,000 pixels in length not including information that follows the piece such as comments. Therefore readers can consume over 100% of the article although this often results from images and videos at the bottom of the article. It’s important to note that this data was based on web-based articles. As a result, don’t draw conclusions about other long forms of content like white papers and ebooks. 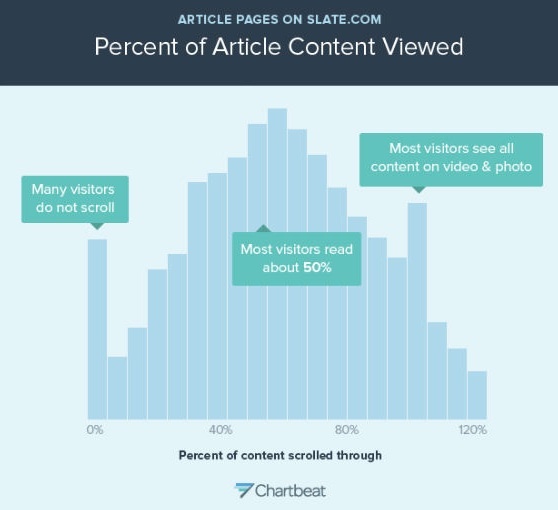 10% of visitors never scroll on an average article, twice the percentage that don’t scroll on Slate.com. In part this may be attributed to Slate.com’s page layout that requires readers to scroll to view more than the title and main image. These people exhibit some form of interaction because those who leave or bounce after landing aren’t included in these results. 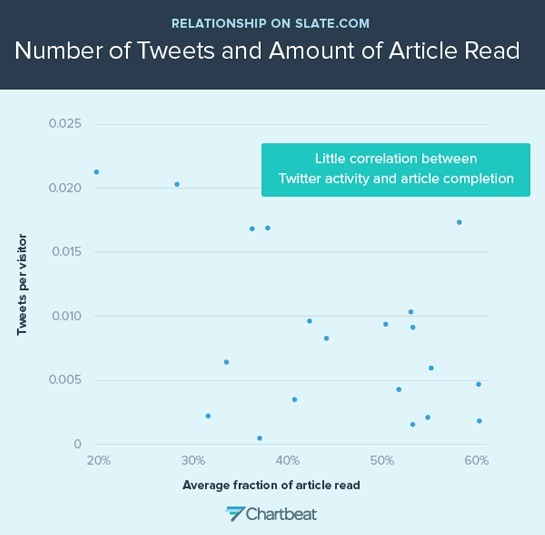 On average, most readers get through 60% of the article, compared with 50% of a Slate.com article. This means most articles aren’t read to completion resulting in missed information. 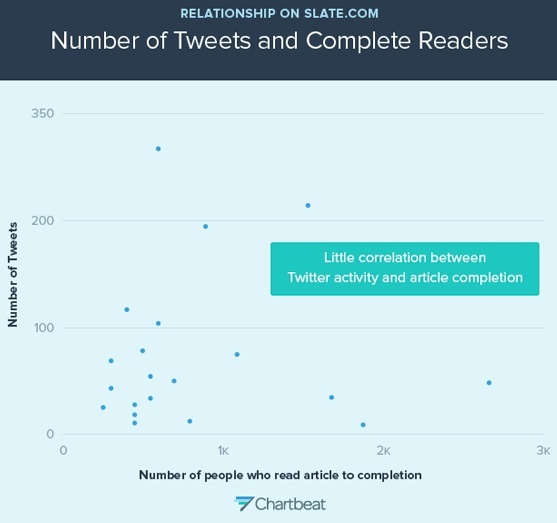 People share articles on social media platforms before they finish reading them. While unable to track individual tweets directly, Chartbeat examined the total number of tweets and compared it to the number of visitors who scrolled through the article. For content marketers, this news is a mixed blessing. Although readers don’t consume all of the long content, they still contribute to earned media. 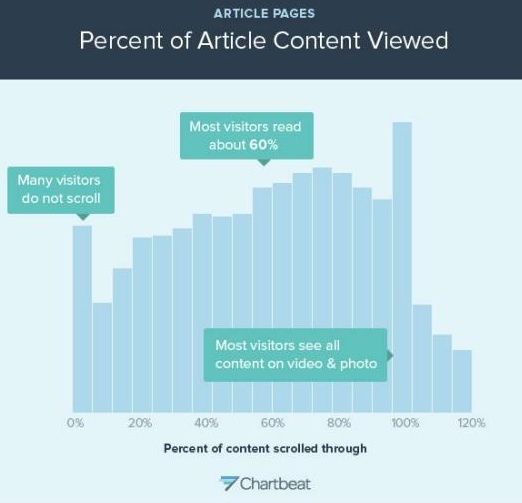 Chartbeat found that articles that attract a lot of tweets don’t necessarily get read very deeply and articles read in-depth don’t receive many social media shares. 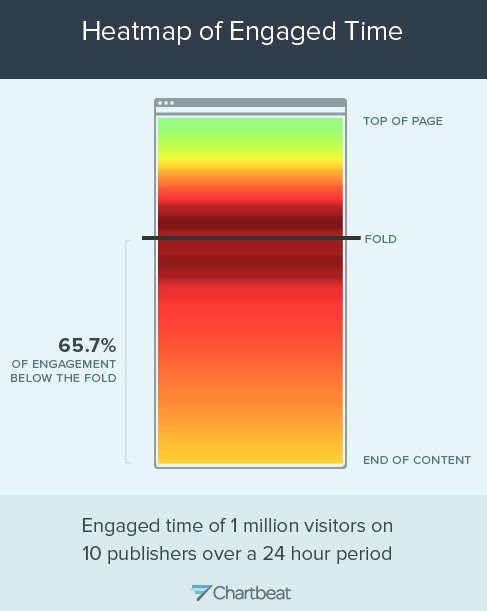 Almost two-thirds of time spent on a webpage is “below the fold”. This translates to that fact that higher-quality content causes people to scroll more. Do these findings mean content marketers should just focus on photographs and tweets? The simple answer is no. But more consideration is needed. 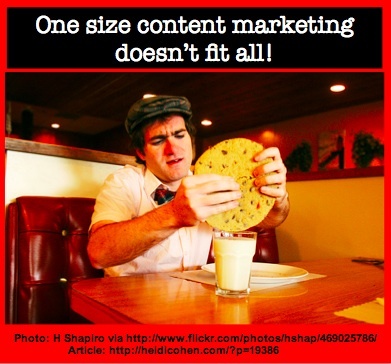 Here are five tips to help you use these findings in your content marketing strategy. Know your audience. Understand whom you’re trying to reach. To this end, create a marketing persona and a social media buyer persona to facilitate the process. Specifically, you’re looking to find out what content your prospects, customers and fans seek from you, what platforms they use to consume the content, and what type of device and where they’re located when they seek your information. This provides context for your content enabling you to tailor to their specific needs. Format content to facilitate consumption. Make it easy for readers to get through your information. Use bolding and outlining. Breakup long paragraphs. Plan content reuse in advance. If most of your readers don’t read the entire piece, make sure that you’re offering your content in another form elsewhere to ensure you maximize the number of readers attracted and leads generated. By creating all related content at one time, you can minimize effort and costs. Test different content presentations. Just as Slate.com’s readers consumed a different amount of information from the average publication, your content readability for your target audience may differ. Therefore test different presentations, lengths and platforms to determine what works best for your specific audience. Therefore, marketers must continually try new formats, platforms and presentations to determine what’s optimal for their prospects and customers at each stage of the purchase process. What has your experience been with using long form content marketing? P.S. Want to find out more about content marketing and get the tools you and your team need? Then join me at Content Marketing World September 9th through 12th in Cleveland, OH where there are over 60 sessions focused on helping you improve your content effectives. 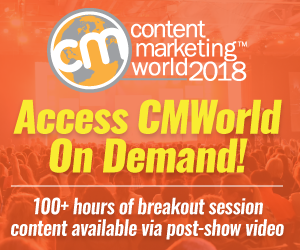 But as my special guest you can sign up now for Content Marketing World using my affiliate code SPEAKERGUEST for a $100 discount on the standard registration price. Tags Chartbeat, Marketing Strategy, slate.com. Bookmark the permalink. 6 Responses to Is Long Form Content Worth The Investment? I’d argue that while long-form content may not best serve everybody, if it’s really useful then it’s going to be valuable to the *right* people. Who will then link to it, share it and remember that it came from you. It seems that when all is said and done, the contents quality and the transitioning of ideas play a VERY crucial role when it comes to convincing the readers to stay and scroll. For as long as your articles are enticing or captivating enough to read, I’m sure the readers will stay glued. I think it also has a lot to do with the sophistication of your reader. Certain topics lend themselves to long form while more basic ones might not. SEO people for example should already realize that there are no short answers and tricks they can do so they are willing to read drawn out articles to perfect their craft. 1. Get a catchy title and some awesomely sharable content above the fold. 2. Don’t drop the ball below the fold. Keep it rich, informative and scannable. Why? Because a reader coming to the page may not choose to read it all, but if the full article has great sub-heads, numbered items, stats and meaty information, that reader will more likely trust, at a glance, that the content is worth sharing. 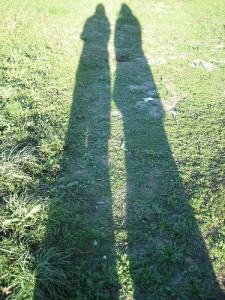 Excellent post Heidi with 2 of my favorite characteristics. Data and actionable advice. It’s interesting that people who read partially share more than those that read an entire piece, though you can often see the results in your twitter stream 🙂 Thanks for sharing.